their latest unlikely contribution to Czech politics since helping elect Klaus President in the first place three years ago. www.pehe.cz/clanky/2004/2004-04-01-presence.htm) observes that Klaus’s political thought is a ‘colourful composite of various theories and his own conclusions … the views of an autodidact influenced by the political [and] economic thinking that was then accessible through samizdat publications’. Not altogether true as the Economic and Forecasting Institute had access to Western journals, but probably accurate for Klaus (and Havel and much of the post-89 political class. Politically, says Pehe, VK is more committed to a utilitarian preference maximization than any strong concept of inalienable human rights (seen as a social construction, although as Pavlik notes VK accepts all the basic right as ‘eternal’).More shrewdly Pehe notes – echoing Pavlik’s on Klaus’s view of the relatiobship between law and economic competition – for Klaus (contra Hayek) democracy (democratic majorities emerging from Schumperian elite competition) is more important than a neutral legal framework guaranteeing freedom above and beyond democracy – no concerns over illiberal democracy here. Klaus’s anti-elitist discourses are aimed at self-appointed elites lacking democratic legitimacy via election, of course. 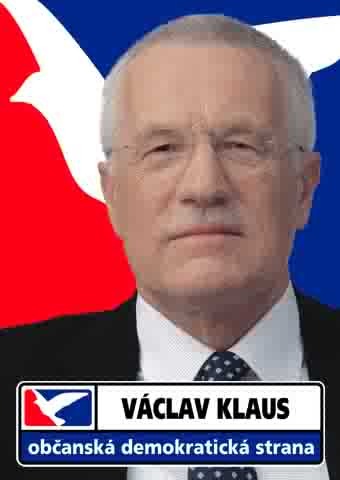 Klaus, suggestsPehe, sees the national charecter and sovereignty of the state that its role as neutral law-maker and enforcer – national community is seen as main natural legitimate grouping, in his vision and national interests (are thus legitimate. However, notes Pehe he describes as if based on common set of values, rather an open political debate. Pehe quotes ODS’s 2000 Srdce a rozum manifesto – but he is perhaps not altogether fair given VK’s repeated calls for a debate around national interests (with reference to the EU) – although presumably Czech finding their way in the debate were supposed to follow Klaus’s definition centring around defence of national state and its sovereignty as flowing more naturally from traditional definitions of Czech identity – the main political goal and achievement of Czech politics, historically being the Czech(oslovak) state created in 1918. Pehe argues that Hayek’s view of civil society is that it is welcome as check on the state provided civil society organizationdo not act as economic monopolists and sees echoes of Habermas and ‘deliberative democracy’ in the Masarykian tradition (‘democracy is dialogue’). Klaus perhaps see civil society organisation as interfering in the ‘political market’, which is of a concern in a Hayekian Constitution of Liberty. More reading of Laclau and Mouffe on a Thamelink traint his time their ‘Post-Marxism without Apologies’ riposte to orthodox Marxist Norman Geras. Surprisingly easy to concentrate despite Thameslink’s rather cramped and old rolling stock, provided there are no loud David Brentish mobile calls in the background. Interesting online paper on Hayek and Vaclav Klaus. Pavlik J (1999). 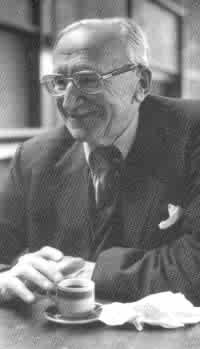 ‘About the Misintepreatation of Hayek’s Theory of Spontaneous Order and Their Negative Impacts on the Transformation Programme in the Czech Republic’, E-Logos, http://vse.cz/kfil/elogos/miscellany/pavlik-3.htm (accessed 24 March 2006). Suggests that Klaus’s arguments about spontaneous order are bogus and pseudo-Hayekian, as his notion of ‘spontaneity’ is that it is the aggregate of individual actors’ conscious strategic actions, not the unintended side-effect thereof. Also very critical of Klausian argument that law in a transition context will emerge ‘spontaneously’ from the norms that economic actors first develop informally – more a recipe for unstable equilibrium more akin to a Hobbesian war of all against all, except that there will be no effective enforcement in the Klaus vision with law lagging behind market development. Pavlik suggests that Klaus saw law as in effect simply reflecting the balance of power and interests between lobbies. A doctrine of legal nihilism with echoes of the situation under late communism, in fact. Interesting contrast with Klaus’s more familiar liberal rhetoric about blocking the political influence of interest groups, maintaining a strong and coherent state to advance transformation etc. But was he just describing a (difficult but unavoidable) situation of over powerful interests or advocating it as a Hayekian form of development? Little else of substance written on the reception of Hayek in the Czech lands or the Central European character of Hayek – I can’t even find out if Road to Serfdom was translated into Czech the late 1940s. I have a feeling that it might have been, although Given the dissident translations of the 1980s. Nothing listed in the Czech National Library’s online catalogue. Interesting parliamentary election results in Ukraine. Not the total rout of pro-Western ‘Orange’ forces touted by some of the media despite the weak performance of the presidential party due to the split between two Orange blocs. Overall the Orange narrowly outpolls the Blue (pro-Russian). The interesting thing is how reform coalitions disintegrate not the already (!) over-researched dynamics of ‘second transitions’ and Coloured Revolutions, although naturally interesting to see if Belarus and the more subtle semi-authoritarianism of Russia will go the same way. Hayek is at pains to stress that the liberal tradition he defends is a product of Western and/or European civilization, not of any particular national political culture. Similarly, although he speaks of collectivist and socialist thinking in terms of ‘German ideas’ he sees the collectivism he opposes as a general trend more advanced in certain countries than others. He also notes that the propensity of collectivism for large-scale organization and centralization overrides the autonomy and identity of small nations, noting inter alia Marx and Engels’ dismissive views of the Czechs and other Central Europe nationalities as ‘unhistoric’ nations destined to disappear in the course of (German-led) economic modernization. Influences on Czech right-wing euroscepticism perhaps? Spent a peaceful morning at the local public library reading parts of Laucau and Mouffe’s Hegemony and Socialist Strategy disturbed only by a wood pigeon cooing loudly somewhere up on the roof. Much of the book is a long wearisome intellectual retreat from Marxism peppered with passages of frustrating abstraction and opacity. Despite this, its intellectual punch is clear enough and its analysis throws into sharp and interesting relief what I was writing about the Czech right’s ideology. Empirically, the book’s analysis of Anglo-American New Right discourses of neo-liberalism and neo-conservatism as disarticulating discourses of liberalism from democracy thus redefining and reducing the scope of politics – hence diminishing democratic contestation and choice – seems accurate enough. It ties up with Gil Eyal’s (not totally convincing) arguments about Czech neo-liberal anti-politics – and indeed Mouffe’s own arguments in Return of the Political, that the liberal centre is (discusrively speaking) emptying politics of content by denying social antagonisms, which I also found unconvincing. None of this really holds true for Czech New Right after 1989, of course, despite its technocratic bent, as it sought to link democracy (albeit of a strictly non-participatory kind) and capitalism, in a context where rolling back the scope of politics was widely accepted as part of the transition from totalitarianism to liberal democracy. Indeed, part of the intellectual underpinning of the Czech right – provided by Bělohradský – which distinguished it from consensus-oriented civic politics of Havel et al of the time was that there were social antagonisms and opposed interests within democracy. That said, the anti-communism of Czech right branding its electoral competitors proponents of illegitimate Third Ways rather twisted Bělohradský’s original critique of sentimental, moralistic anti-politics (which he saw a facet of reform communism, dissent and Czech political culture generally). 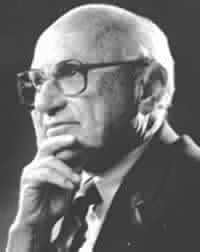 I later return to Milton Friedman wondering whether he like Hayek had informed the Czech right’s fear of Third Ways. A quick reading of Capitalism and Freedom suggests Friedman, however, was less preoccupied with the drift to totalitarian collectivism, which he sees as checked half way by Anglo-American political culture and the inherent economic inefficiency of socialist planning – a judgement perhaps ultimately bore out by the collapse of communism itself- than the need to restrict the scope of politics to expand the scope of freedom.